So you don’t like Naples nearly as much as you do Rome, Venice or Florence? Most travellers don’t. Have you seen Gomorrah? The 2008 film is a contemporary look at the Camorra, a fairly ruthless criminal organisation based in Naples and the southern Italian region of Campania. It doesn’t paint the nicest picture of the city. Couple the city’s notoriously high crime rate with horrendous poverty (some claim the city has an unemployment rate of anywhere up to 40% – more than twice that of other major Italian cities) and it’s not the happiest place in the world. 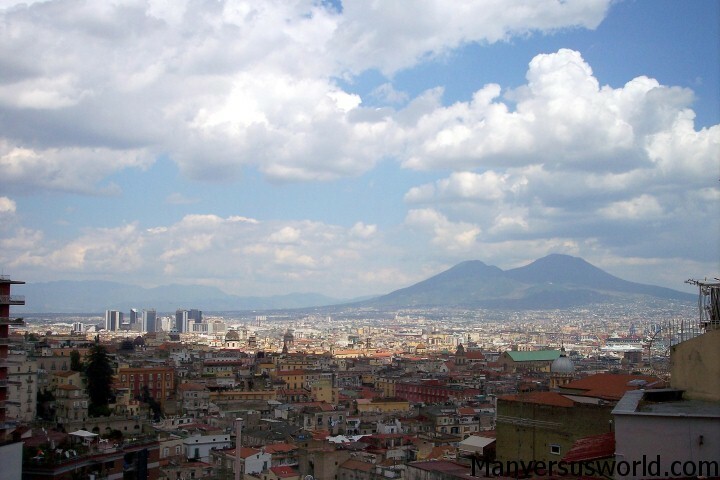 Naples suffers in comparison to other Italian cities. It doesn’t boast the charm of Florence or the glamour of Rome, and it’s certainly no Venice or Verona – two of the most romantic places in Italy and the world. In Rome they have the seven hills; in Naples they have 7,000 mountains of garbage. Naples is/was home to a long-running trash crisis that led to mountains of garbage being dumped onto city streets. The crisis peaked around the time that I first visited Naples, in 2008, and suffice it to say that the city looked almost as bad as it smelt – with rats rummaging through garbage a very common sight. I understand that the worst of this is now behind it; nevertheless, Naples is far from an immaculate city. Okay, so right about now the city’s mafia will be organising a hit on me for slamming their city and painting a word-picture of a horrid hellhole of poverty, crime and garbage. 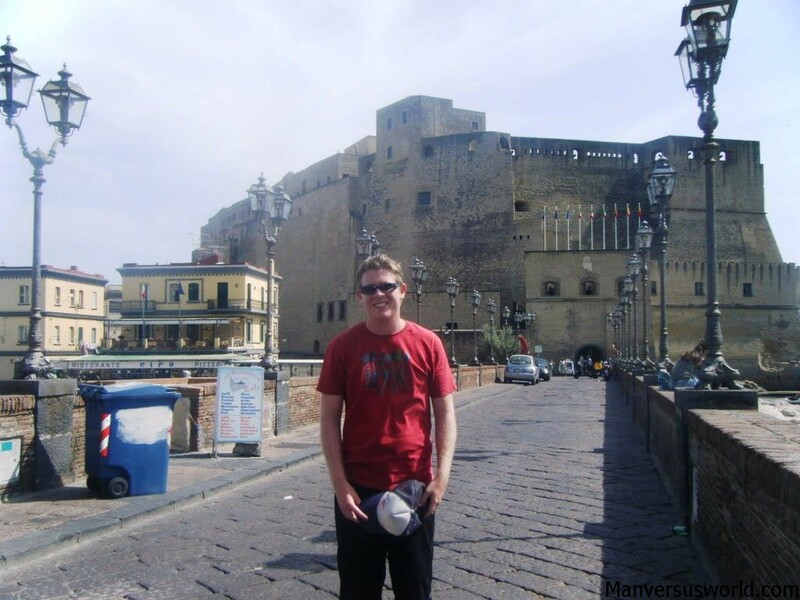 Truth is, I wasn’t a big fan of Naples the first time I visited. There were things I did like about the place, sure, but they were heavily outweighed by the negatives. Naples became a synonym for bad travel experiences, as in “getting robbed in Spain was so Naples” or “oh no, I just stood in a big pile of Naples”. You know what the worst thing about the likes of Rome and Venice is? They’re too darn popular. Snap-happy travellers crowd around ancient monuments in Rome, outnumbering locals by 10 to one; tourists queue up for all the best restaurants and cafes in town – pushing prices way up – and don’t even get me started on how difficult it is to find decent accommodation that isn’t too expensive. Naples really does have the best pizza. Even the city’s deceptively simple margherita pizzas are better than anything I’ve ever tasted at Pizza Hut. For my money, the best pizza in Naples is at Pizzeria Di Matteo on Via dei Tribunali, where the service is swift and the pizza is unforgettable. Don’t be put off by the queue outside the door. Naples certainly isn’t boring. At times you’ll fear for your life just crossing the road – beware the thousands of teenagers on vespas – and its maze of cobbled streets will have you lost and turned around on more than one occasion. Put it his way, I’d rather visit Naples for a third time than go back to fashionable Milan, a far more boring city where even the homeless were dressed better than I was. The reason I travelled to Naples in the first place was to visit Pompeii, the remarkable ruins of an ancient Roman town that was destroyed by the eruption of Mount Vesuvius in 79AD. Pompeii, less than an hour away by train, is definitely one of the highlights of Naples. 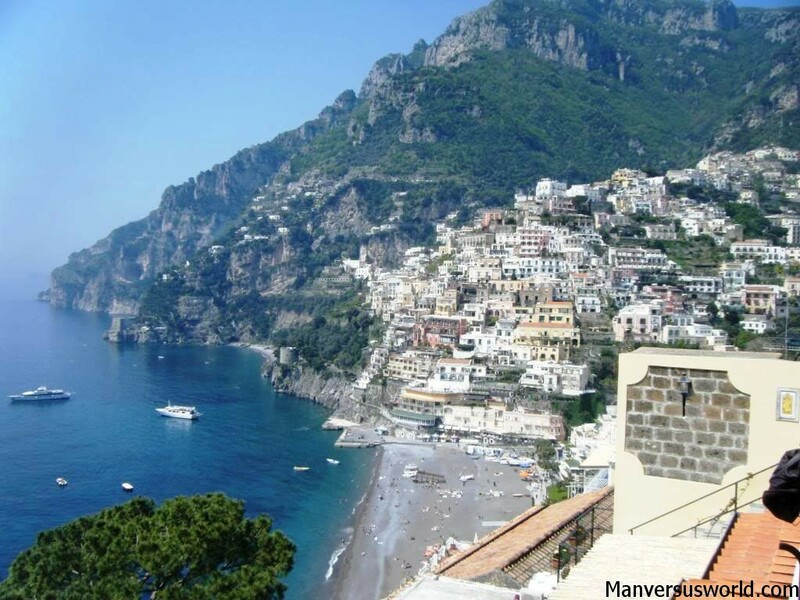 Finally, my absolute favourite part of Italy is the Amalfi Coast in the southwestern region of Campania – and Naples is the inauspicious gateway for most travellers to this stunningly beautiful part of Italy. And make sure you check out these 5 surprisingly great places to visit in Europe and 5 reasons to love Barcelona that aren’t food or football. Visited Naples once with some friends and the first night there my blonde, female friend was harassed by some teenage yobs. I tried to hold judgement and later taught English there for 3 months before doing a midnight run and fleeing to Rome. I couldn’t hack it. I taught in third world countries but Naples was by far the worst. Everything you’ve ever heard about Naples is true. It’s filthier and more squalid than some third world countries. 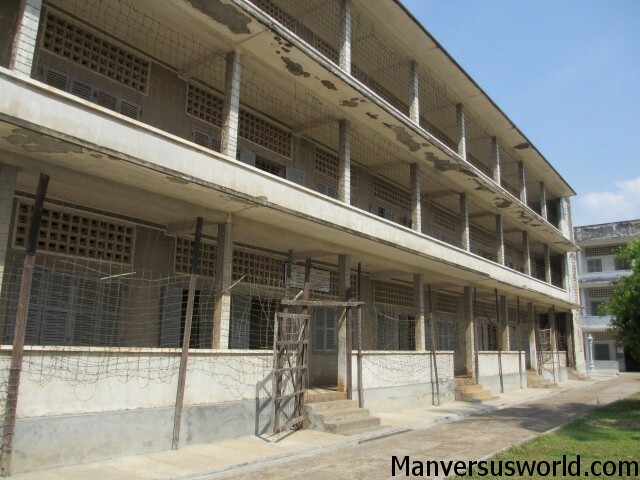 Everyone from the people on the streets to the officials to my employers were super shady and most of the locals are rude, obnoxious and quite aggressive. Virtually all the guys under the age of 30 dress and act like hip hop gangsters and the girls all look the same. Nothing is legal or legit there and nobody can be trusted. From the moment you arrive in the city you’re hit by the stench of trash and bin juice, the stagnant humidity (it’s more humid than Rome and feels horrendous in summer), the noise and chaos of the traffic, thousands of refugees, teenage hooligans and shady Napolitan men just hanging around on the streets doing nothing day and night. My employers didn’t pay me for what I worked and didn’t even provide me with a work contract. I hated my time in Naples from day one. The surrounding areas where some of my classes were (San Giuseppe, Pomigliano) are even worse than the city itself. Full of toxic waste the mafia have dumped there, poverty and gangster men. The only redeeming factors about Naples are cheap rents (because nobody wants to live there), the weather stays warmer than other parts of Italy most of year (but summer can be pretty nasty), the archeological sites nearby, the proximity to the Amalfi coast, a weekend away in Rome is easy and the pizza which really is the best pizza going. Basically the best things about Naples are the foods and getting out of Naples. 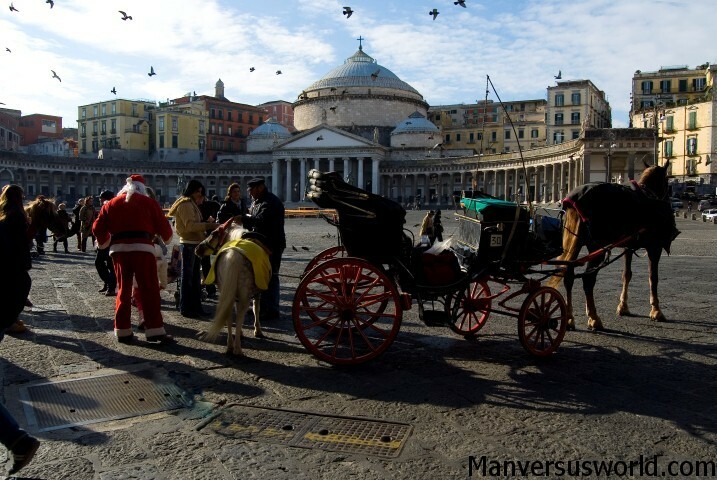 I’m a native neapolitan and your post just skims the reasons to hate/love Naples. I gotta agree with them all though, the bad ones as the good ones. Either way, there’s even more than the Amalfi coast and Pompeii nearby: check Pozzuoli, with one of the best preserved Roman amphiteatre in the world, the Solfatara, which is the second volcano in the area, the wonderful islands of Capri, Ischia and Procida, the nice, and way more “noble” neighborhood of Posillipo and Marechiaro on the western part of the city, the Reggia of close companion city of Caserta and much more. 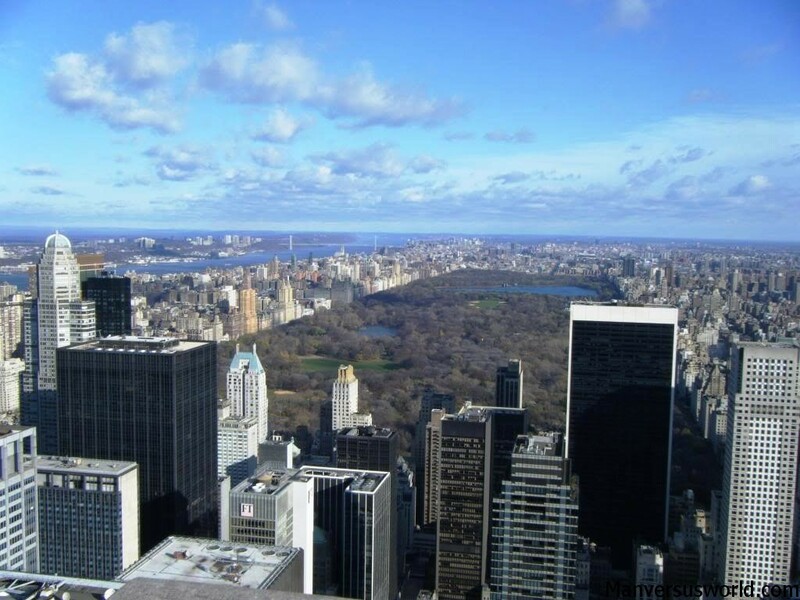 Even if you find yourself hating the city, there’s a whole week worth of day trips to be had from it. In Naples at the moment an I have to say I really dislike this city. The people are rude, the drivers are crazy and I do not feel safe at all. I have never seen a city as dirty as this one the way the residents disrespect this city it appaling. There seems to be loads of refugees aswell just living on the street. Also we trief the pizza an are not a fan haha. On the bright sude we saw Pompeii and Sorrento which are beautiful places but I wish we stayed there instead of Naples. We cannot wait to keave tomorrow! Naples, like most big cities, has many faces. The historic centre is totally fascinating – 3,000 years of history. Chiaia is chic. Posillipo offers fabulous views of the bay and Vesuvius. Vomero is smart and a cool place to go when it’s hot at sea level. Neapolitans are the most generous and funny people I know. Do some research first, plan your trip, stay near Piazza Amedeo for metro, funicular and for the beautiful sea front nearby. Naples has to be one of the best destinations on earth. Ha ha, that’s so funny, I actually had the worst pizza I ate in the whole of Italy in Naples – couldn’t even finish it – ergh! Naples is Naples. It’s unique. There is good and bad about Naples but it has its own magic. If you want somewhere cleaner and more conventionally “civilised” try Salerno – which in reality is the real gateway to the Amalfi Coast, as there is practically no interruption between Salerno and Vietri sul Mare which is the first town on the Coast going from South to North. I moved to Naples nearly a decade ago and while some of what you say is true I think its unfair to “sum” up such a complex city when you don’t even speak the language. The constant western way of traveling leads to inaccurate tales of cities. Naples is more than pizza and the Amalfi Coast and not all of the city has a trash problem. Everyone is entitled to their opinions but I prefer to learn about places before I write them off. Fair enough, Denise – and thanks for taking the time to comment. What I’ve tried to get across here, perhaps not satisfactorily, is that I love Naples. Too many people write it off after visiting it just once. On the second time I visited Naples I could see all it’s good points. You’re right – it is a very complex city. I just found the shabby character to be hilarious. After going through the north of Italy and its immaculate architecture and fancily-dressed cosmopolitan citizens, visiting Naples was like a trip to the other side of the Berlin Wall. I probably wouldn’t want to live there forever, but visiting sure was fun. It was chaotic, and…spirited. Yeah, those are compliments, right? 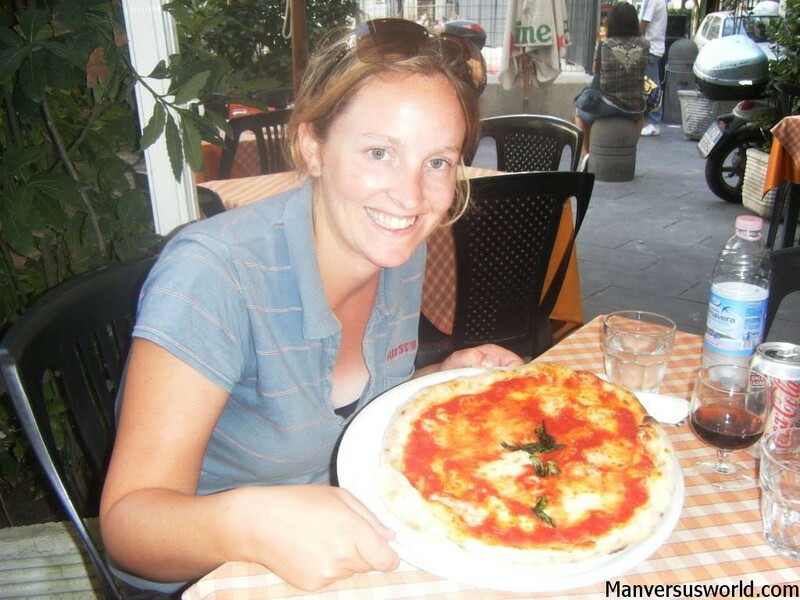 And every day in Naples I had pizza for (late) breakfast, lunch, and dinner. I have no regrets!!! I’m firmly in the “dislike” Naples camp unfortunately! I went against all the bad things I’d heard about it and decided to check it out myself, but found it lived up to all of them. The thing I couldn’t get over more than anything was the disregard it’s own residents had for the city, with all the graffiti everywhere and what not – Kinda makes it hard to warm to a place when it’s own citizens don’t seem care for it! I actually wrote a blog post myself about my rather negative opinion of Naples, and got a very strong comment back from a Neapolitan woman though haha! But it was good to see she cared at least. I completely understand. I felt the same way the first time I visited – I was appalled by how run down everything was and how apathetic everyone seemed about the chaos around them! To be honest, I’m not quite sure what changed my mind about the city. I’m still intrigued by Naples. After much deliberation, I gave it a miss when I recently stayed in Sorrento. I knew visiting everywhere I’d have liked to would have probably been a bit much during one short trip. I settled for the Amalfi Coast , Capri and Pompeii in the end. Still can’t decide whether missing out Naples was a mistake or not!